If you're planning a group trip in Los Angeles, rely on Champion Charter Bus to handle all your transportation needs. We'll work with your group and their specific needs to help you organize reliable charter bus or minibus rentals for wherever you're going. Call our 24/7 team at 310-295-9547 to learn more. 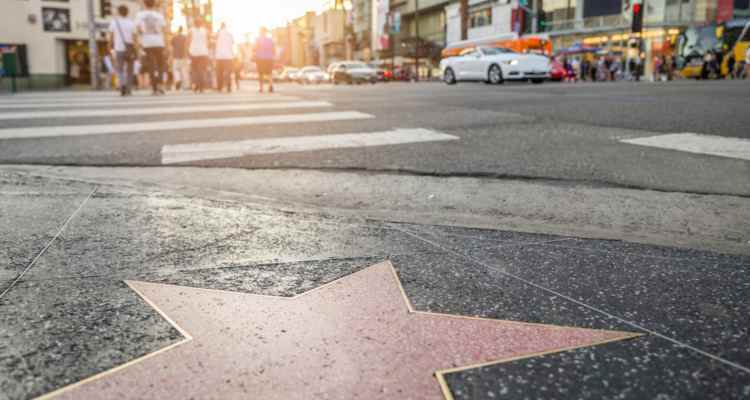 From sunny beaches and celebrity sightings to Universal Studios and endless museums, there’s a reason why Los Angeles is the Entertainment Capital of the World. But if you’ve only got three days in L.A., how can you explore the best of the best without missing out? Easy. Champion Charter Bus is the leading group transportation provider in the Western United States, helping groups get anywhere they need to go in a comfortable, reliable charter bus rental. Because of our expertise in the Los Angeles area, we can help you hit all the top locations with ease. From weddings and corporate events to school field trips and private vacations, Champion Charter Bus makes exploring L.A easier than ever. No matter what you’re in the city for, you can trust the champions in group transportation. Pack comfortable walking shoes. You’ll be doing a lot of walking-- even with a charter bus driver taking you from place to place. Pack clothes depending on season. L.A. can get hot during the summertime, and if you’re expecting to be in the sun all day, make sure to pack appropriately. Note any places you might want to see. Are there any attractions, restaurants, parks, or anything else you’re dying to visit? Make sure to let us know so we can help your craft the perfect itinerary! 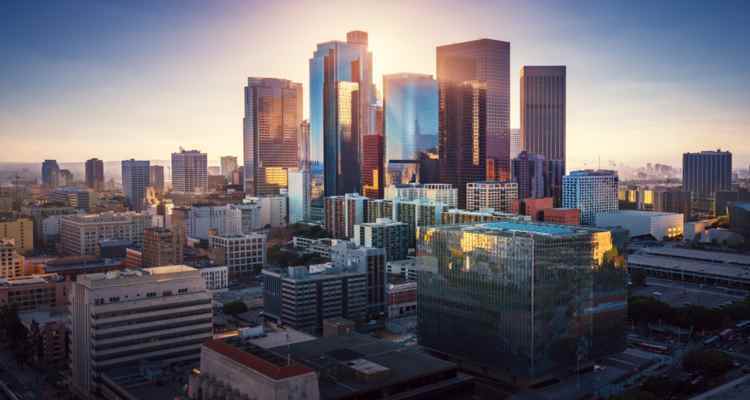 As one of the most populous cities in the nation, there are plenty of ways to travel throughout L.A. From car rentals to the Metro Bus and Rail system and rideshare apps, it’s easy to find a way to get to your next destination. Plus, Santa Monica is known as a very walkable city, so you can easily walk to each destination. However, these are only viable options if you’re traveling by yourself or with a couple of people. If you’re traveling with a group, public transportation, car rentals, and rideshare apps aren’t the most efficient and cost-effective solution. Staying organized can be difficult when you have to separate your group amongst various vehicles, and costs can quickly add up without streamlined transportation. If you let a professional company like Champion Charter Bus find you the perfect minibus or coach rental for your group, all your transportation troubles will be taken care of so you can focus on experiencing all that L.A. has to offer. With only three days to explore Los Angeles, we know how difficult it can to plan the perfect itinerary. 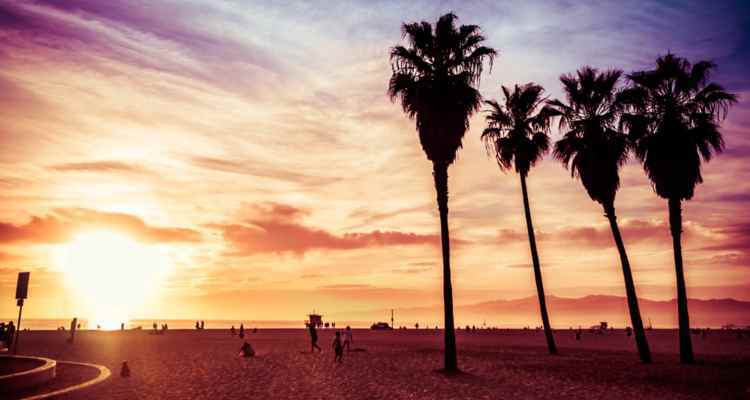 We crafted a seamless plan for you and your group based on our clients’ past trips, taking you through Santa Monica, Beverly Hills, and Long Beach so you won’t miss a thing. You’ll be counting down the days until you can return again. Start day at Venice Beach. Full of cool shops, hip restaurants, and the dreamy L.A. weather we all crave, Venice Beach is the best place to start your trip. If the clear sand, splashing water, and great spots to relax don’t excite you, don’t worry-- there’s something here for everyone. Lay out on the beach, shop across the boardwalk, meet locals, and grab lunch with your group. It can be difficult and quite pricey to find parking if you drive around, but with your personal charter bus, you can get straight to the action. There are plenty of delicious restaurants speckled throughout Venice Beach, but Rose Cafe has proven to be a staple for the community with a funky, boho-chic atmosphere and the perfect Californian menu. If you’re looking for a true California restaurant, this is a local favorite-- or, tell your driver to take you to one of the many restaurants if you’re interested in something else. 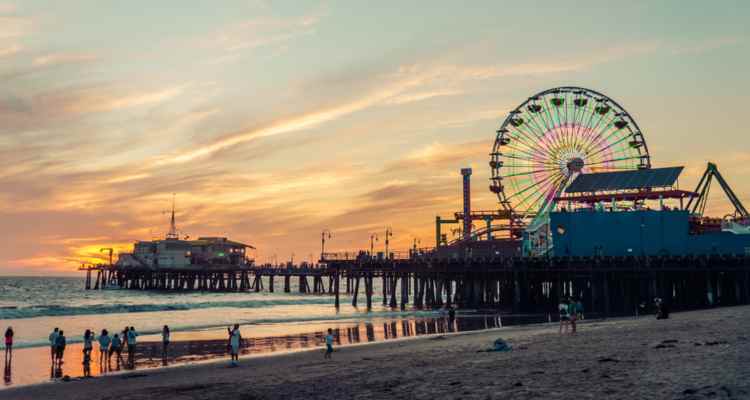 Santa Monica Pier is the seaside destination everyone dreams of seeing once in their lifetime. It’s like an endless festival full of an eclectic mix of people and various vendors. Discover the amazing selection of shops and restaurants, explore the amusement park, get a high score at the arcade, play carnival games, and ride the famous ferris wheel for a spectacular 360-degree view of the city. Parking can be hard to find, especially later in the day, but your driver will find the perfect drop-off location and handle the rest for a stress-free trip. While you’re in the area, try to stop by the Santa Monica Pier Aquarium. This small aquarium houses 100 different species, and if you have children in your group, they’ll enjoy the touctanks while you’ll enjoy the affordable price-- only $5 for adults and free for children! If you’ve still got time, visit the Bergamot Station (it closes at 6 p.m.) to explore the many art galleries featuring the beautiful work of local artists. Support the local community while getting in touch with your artistic side. Afterwards, you can pick out one of the nearby restaurants for a tasty dinner. End day back at your hotel. Start day in Beverly Hills. 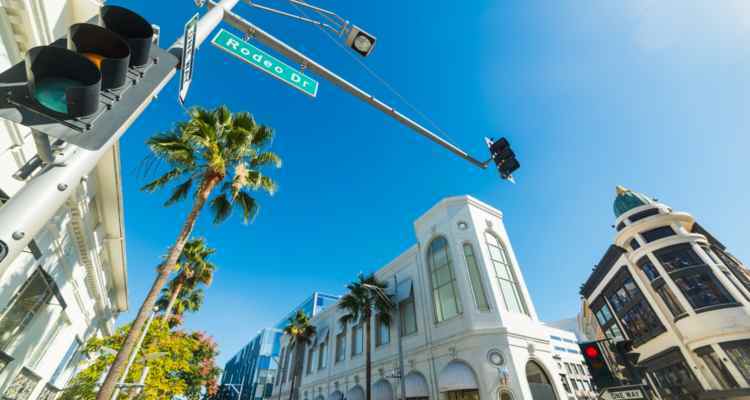 Live like luxury (or pretend to) by starting your 2nd day exploring Rodeo Drive, right in the heart of Beverly Hills. This 2-mile stretch features extravagant stores and designer boutiques, including shops like Armani, Anthropologie, Dolce & Gabbana, and more. Even if you aren’t planning on spending any money, window shopping is a great way to feel a part of the glitz and glamour of Beverly Hills, and who knows-- you might even spot a celebrity or two. At the southern end of Rodeo Drive sits the historic Beverly Wilshire Hotel, dating from 1928, but mostly known for its appearance in the movie Pretty Woman. Even if you’re not a fan of the movie, it’s a beautiful building to admire while you’re already in the area. You know all about the Hollywood Walk of Fame-- now it’s your turn to see it in person! Find your favorite star along 15 blocks of around 2,600 brass stars. Did you know Michael Jackson has two stars? See if you can find them, and avoid the dreaded parking meters with your personal bus! There are plenty of restaurants along the strip to grab a bite to eat while you’re there. This is where your comfortable hiking shoes come in handy! On the south face of Mount Hollywood sits Griffith Observatory and Park, giving visitors a breathtaking view of L.A., as well as featuring a plethora of exhibitions and a planetarium. You’ll also have the opportunity to explore 50 miles of hiking and biking trails that take you to the Hollywood Sign. Be sure to bring water and comfortable clothes, as this can easily take up to two hours-- but the views are worth it! Grab a bite to eat and a glass of wine (or two) and watch a show at the Hollywood Bowl, located in Hollywood Hills. From comedy shows by Kevin Hart to jazz festivals, there’s something here for everyone-- and you’ll feel fabulous as you laugh, or cry, amongst Los Angeles locals. End day back at hotel. Start day at The Queen Mary. 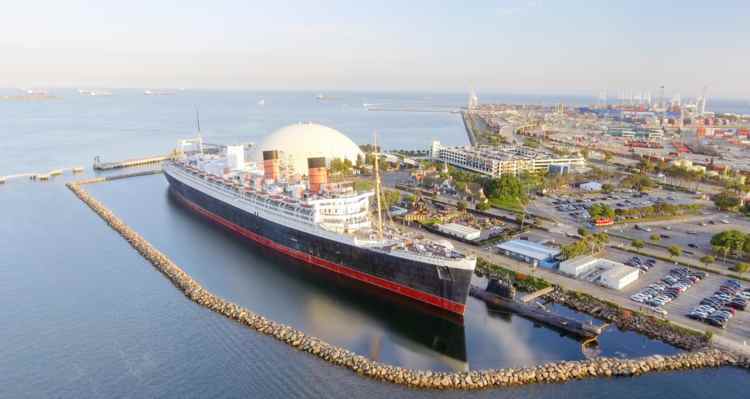 Whether you’re a history buff or craving a spooky sighting, The Queen Mary offers it all and is a must-see if you’re in town. There are a variety of different tours fit for every kind of group, from time-traveling back to WWII to haunted tours. This old ship also functions as a hotel, giving you the option to stay the night if you’re brave enough. Craving old-school rides and atmosphere? Knott’s Berry Farm is a classic theme park with a variety of rides for children and adults, the perfect place to spend your last remaining hours in the Los Angeles area. There’s a reason this theme park is the 10th most-visited in the nation-- with its famous fried chicken, spectacular live shows, and fun for the whole family, you can easily spend a whole day here. Skip the parking with your bus rental and get straight to the fun. You’ll be craving to see Los Angeles again in no time. Don’t let transportation take away from all the possibilities of your trip. Champion Charter Bus can help you craft the perfect itinerary, like the one above, while handling all your transportation needs. No matter the trip type, we’ve got the resources and expertise to help your trip run efficiently. With services all across California in major cities like San Francisco, San Diego, San Jose, and more, we can help your travel wherever your heart desires. Call our 24/7 team at 310-295-9547 to learn more!